A-HOTEL.com - Luxury and cheap accommodation in Romainville, France. 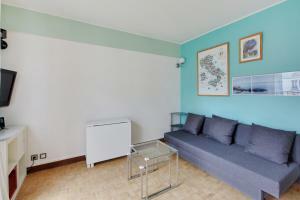 Prices and hotel, apartment booking in Romainville and surrounding. This indicative offer was derived from the most recently booked accommodation in Romainville and sort by the price, from cheapest Romainville accommodation to the most expensive hotels. To select accommodation by your preferences we recommend to choose from 2 accommodation offers in Romainville in total. By entering the dates of your overnight stay in Romainville and using the filter tools you can sort the best possible accommodation for you. The entered dates of your stay are crucial for the most accurate offer as it derives all the online information on pricing and availability of Romainville accommodation. Then you can book the selected Romainville lodging (hotels, apartments etc.) immediately. Situated just 4 km from Porte de Pantin, B&B Hôtel Paris Romainville Noisy-le-Sec is a hotel in Romainville offering free WiFi and a 24-hour front desk. Rooms are soundproofed and feature a seating area, air-conditioning and a flat-screen TV with cable channels. Gorgeous new apt, 5mn walk to metro ligne 5 Paris is set in Romainville and offers a garden. The accommodation is 8 km from Paris. Residence Les Lilas Paris is set in the centre of Les Lilas, 100 metres from Mairie de Lila Metro Station, a 10-minute metro ride from central Paris. Free private parking is available on site. Apartment Faidherbe is situated in Les Lilas. Free WiFi is available. Located in 19th district of Paris, B&B Hôtel Porte des Lilas offers a 24-hour reception, luggage storage and a terrace. Porte des Lilas Metro Station is a 5-minute walk away and offers direct access to the Hôtel de Ville. Set 2.7 km from Place de la République, 45-ATELIER PARIS BUTTES CHAUMONT offers accommodation in the heart of Paris. Liberté is situated in Paris. This property is 5 km from Pompidou Centre and features free WiFi.